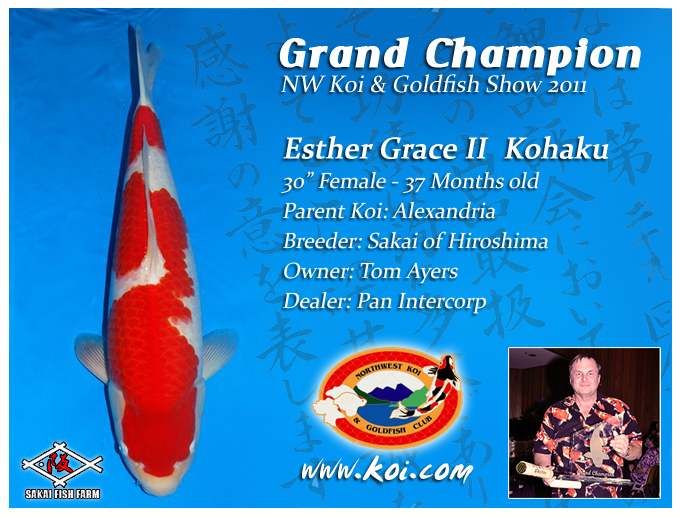 Pictured here is the Grand Champion... a beautiful Sakai Bred, Alexandria Bloodline Kohaku. This Kohaku was purchased by Tom at Pan Intercorp as a two year old and raised up to 30 inches in a very short time period. We think she still has room to grow and will be competing for Grand Champion at many more shows to come.